Ryno Power Motivation Reviews: Does It Work? What is Ryno Power Motivation? This is a supplement which is meant to enhance focus among the users especially those who are engaged in tough exercises such as the weightlifters as well as cyclists who may need a lot of focus in the course of their training activities. The nootropic supplements is made up of naturally extracted ingredients which have been found to support the functioning of the brain a great deal hence suited for enhancing the focus among the users. Who is the Manufacturer of Ryno Power Motivation? The company behind this formulation is known as Ryno Power. This is a company which is claiming to be formulating the supplement in order to render the power of a rhino to the users of this supplement. The company is, therefore, giving a lot of promise to support in the body when its products are used. It is availing the supplement through various digital means making them available to most of the users across the globe and offer reliable customer service. How Does Ryno Power Motivation Work? There are numerous support and working processes which are associated with the use of the supplement in the body. the ingredients are very helpful in the body as they enable better focus. The ingredients are working well by inhibiting the conditions associated with aging in the brain hence making the users of the supplement to stay young and better focused. They also rejuvenate the brain cells hence enhancing the concentration and cognitive ability of the users. These working processes are combined together to allow users to gain overall health support in the brain. Ryno Power Motivation Ingredients – Are they Safe & Effective? Bacopa Monnieri – This is a natural herbal ingredient which is normally included in brain boosting supplements. This is boosting the physical brain health and allows better flow of blood to the brain. Inositol – This is acting in the body in several ways as a vitamin. It may depict anti-anxiety properties hence enhancing endurance . Bioperine – Enhances concentration of choline in the brain. It is also contributing to effective absorption of other nutrients in the body for effective support . Guarana Seed Extract – This may be giving a boost to the functioning of the brain by stimulating the body in a natural and safe manner. L-Tyrosine – This is enhancing focus, drive and motivation when used in order to enhance focus and endurance. Vitamin C – This is serving to cleanse the body including the vision and mental focus in the body. What are the Advantages of Ryno Power Motivation? There may be heightened focus among the users of the supplement. Functioning of memory of the users of the supplement may be boosted. There could be enhanced mental energy in the body. Recall of information may be better supported by use of this formulation. The formula is made up of natural ingredients. What are the Disadvantages of Ryno Power Motivation? The performance of the supplement has been criticized as not being strong enough as a nootropic. It may feature some ingredients which are not preferred by some users. The stimulant content in the supplement is quite high hence not preferred. There could be a need to engage in other physical activities to notice better results in terms of focus. How Should You take Ryno Power Motivation? The serving size of the supplement is stated as 2 capsules hence a bottle of 60 capsules has 30 servings. However, it is not stated how to consume them. How Much Does Ryno Power Motivation Cost? The price of the supplement is stated as $24.95. This price is not including the costs for shipping and handling of the supplement. 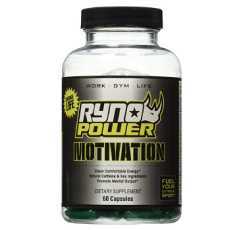 What is Ryno Power Motivation Return Policy? There is no mentioned money back guarantee on the supplement according to the official website of the brand. One may notice varied policies in retail stores. 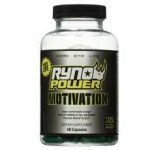 Does Ryno Power Motivation Offer a Free Trial? There is no free trial of the supplement. One will have to pay for it to gain its claimed benefits in the body. The brain supplement is making a number of claims concerning its suitability in the body especially in boosting focus. It is claiming that it may enhance the mental energy in the body as well as focus levels. There is also a claim that the supplement may support endurance and cognitive function of the brain when used. However, there may appear some drawbacks concerning the use of the formula since it is having some ingredients which may not give immediate results in the body. Further, it is not considered a strong enough nootropic to use at the same time having no benefits in long term usage hence users may consider looking for other supplements to boost their brain.